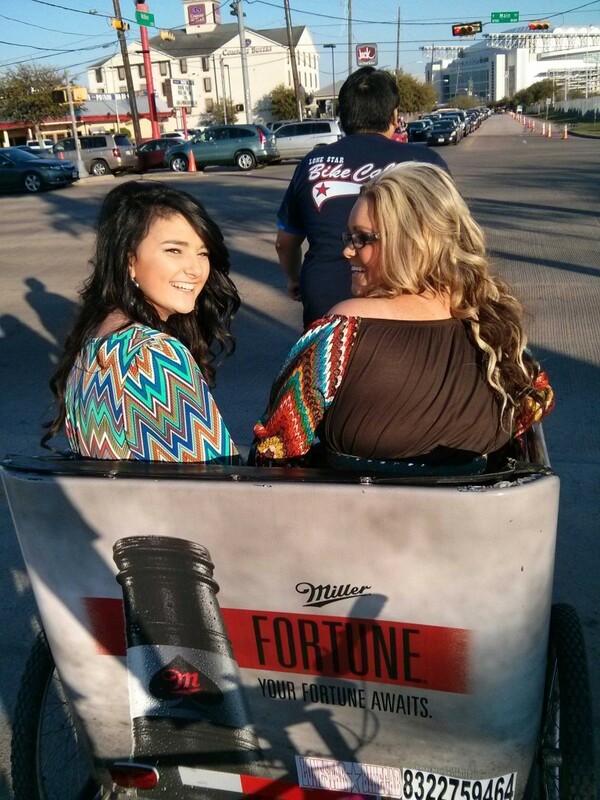 Miller Fortune was looking to promote their “Be Adventurous” campaign to a specific audience. 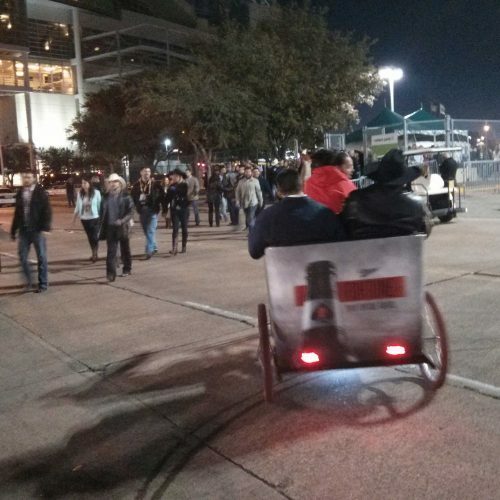 Pedicab Outdoor suggested the crowds at the heavily-attended Houston rodeo BBQ Cook-off as a perfect target audience. 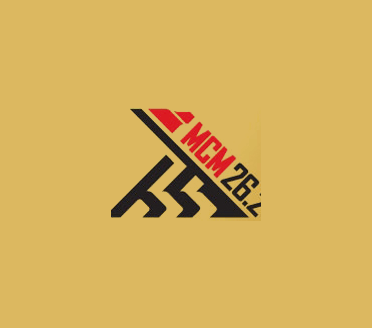 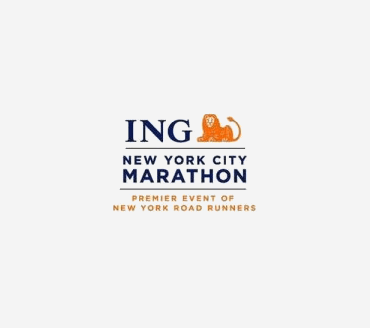 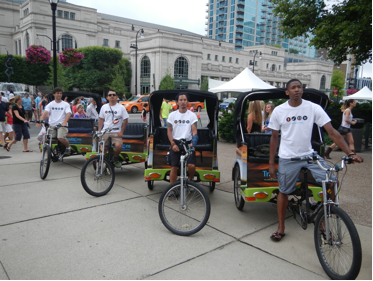 It proved to be an ideal match as more than 1000 pedicab rides were given throughout three days and even more eyes were on the head-turning advertising. 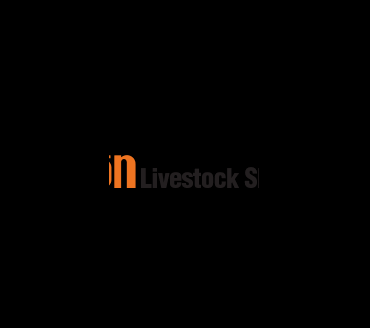 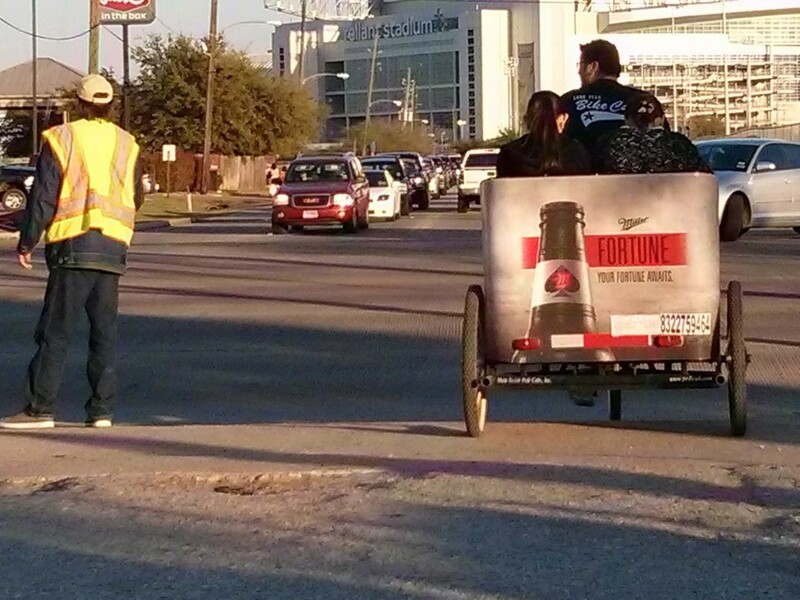 Total attendance for each day of the popular BBQ Cook-off is over 100,000 people. 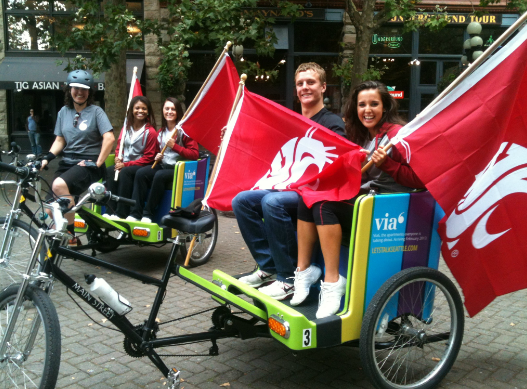 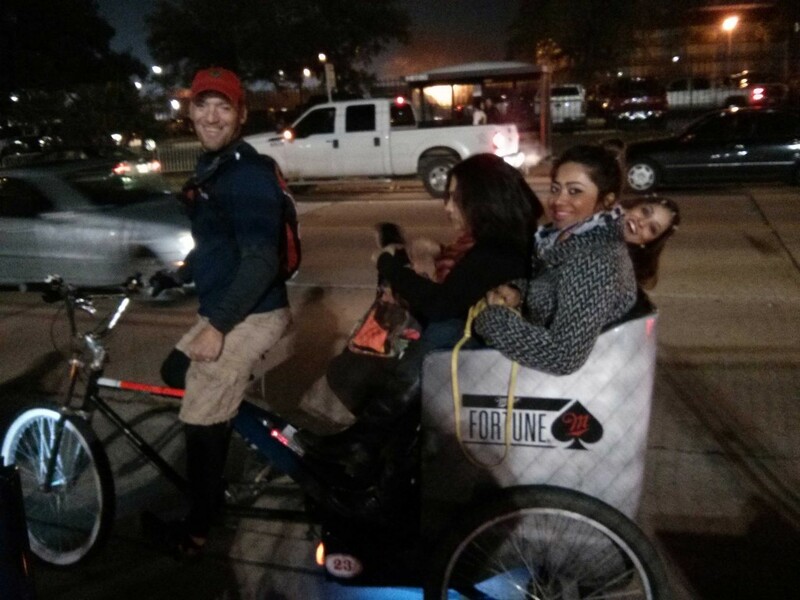 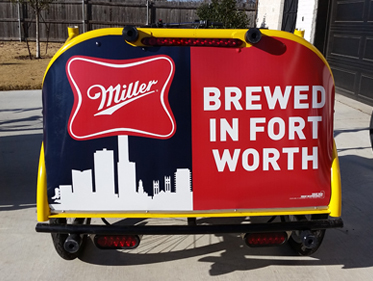 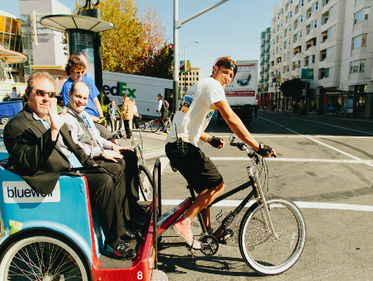 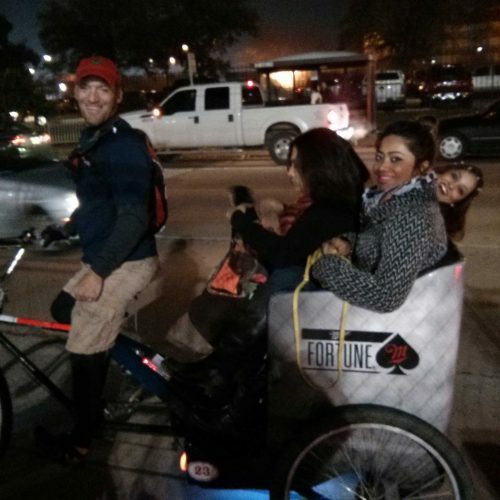 Pedicabs were fully wrapped with Miller Fortune branding and provided rides to cook-off attendees for the full three days. 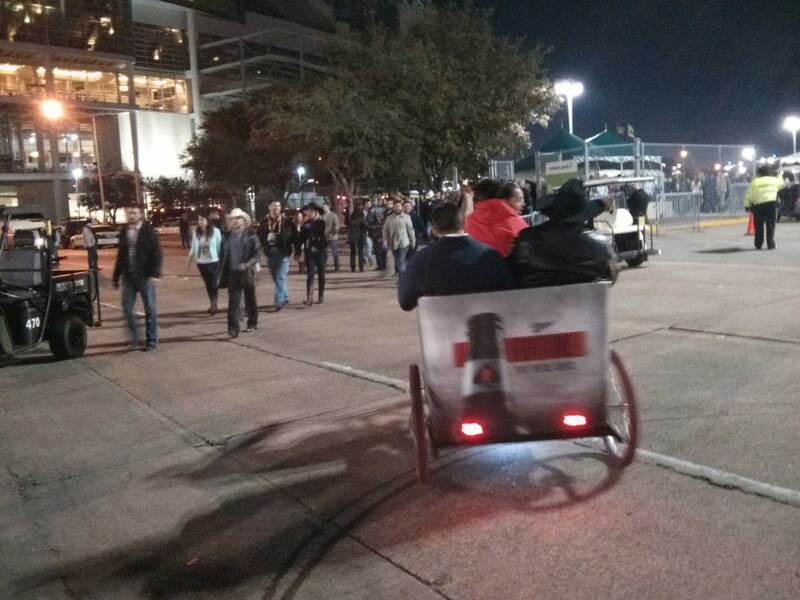 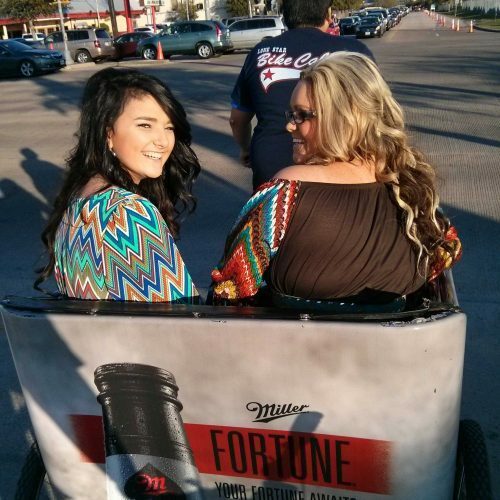 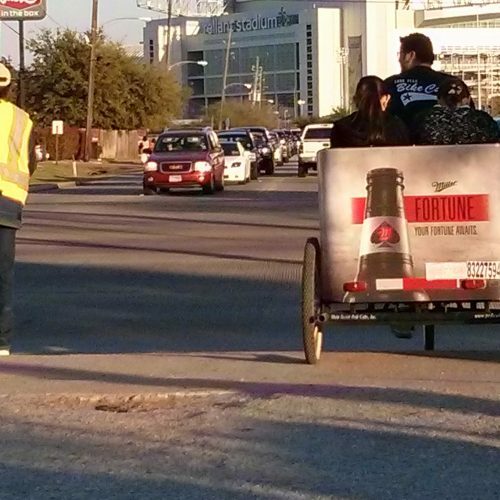 Grand total of 1044 Miller Fortune pedicab rides were given in three days and countless more eyes were on the fully branded pedicabs at the much-attended rodeo.